This is a seasonal stop... The pier is privately owned... The season generally runs from Memorial Day thru Labor Day...Old Orchard is on the ocean, and there is an amusement park there. The park extends onto a pier that goes over the water. 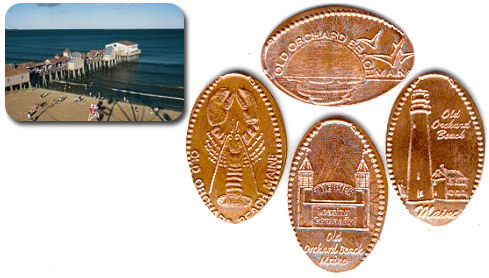 The pier has lots of bars and gift shops and the like on it, but it also has a penny machine. thegillion added Old Orchard Pier to system.